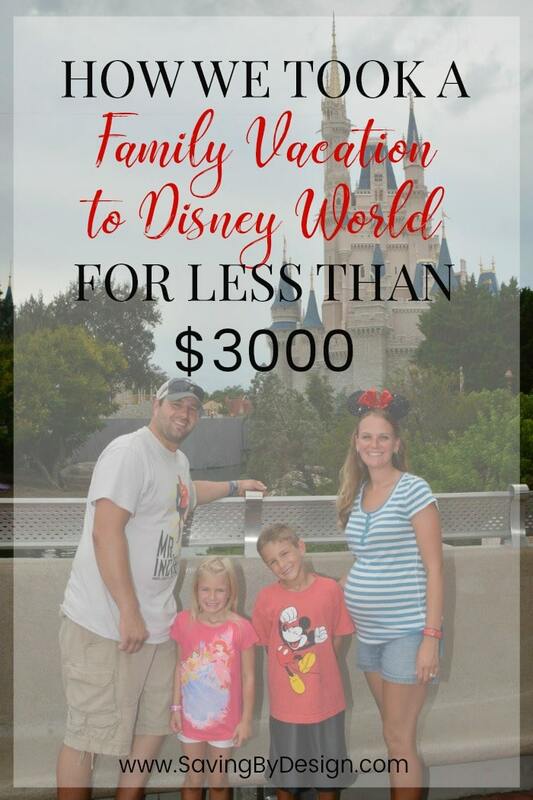 We Took a 7-Day Family Vacation to Disney World for Under $3000! only three short hours away. Well, who would have thought that getting pregnant with our third child would lead to our first family trip to Disney World? Well in our case, that’s exactly what happened! I began thinking about just how much our life was going to change once our new little family member arrived. Then it came to me…how great would it be if we could take one last special trip as a family of four. Somewhere that the kids could only dream of going (and at the time thought we could only dream of affording). So I looked at the Disney website just to get a ballpark figure about how much a trip would cost. IT’S HERE! DISNEY FREE DINING HAS BEEN ANNOUNCED FOR 2019! Free Dining is being offered to guests ARRIVING most nights during July 5 – September 30, 2019. You must book by February 10th to get the offer. To get started I looked at the Disney website just to get a ballpark figure about how much a trip would be. Without including any promotions, I found the cost to be surprisingly affordable if we didn’t include all the bells and whistles. That meant once I did find a promotion it would only be that much better! 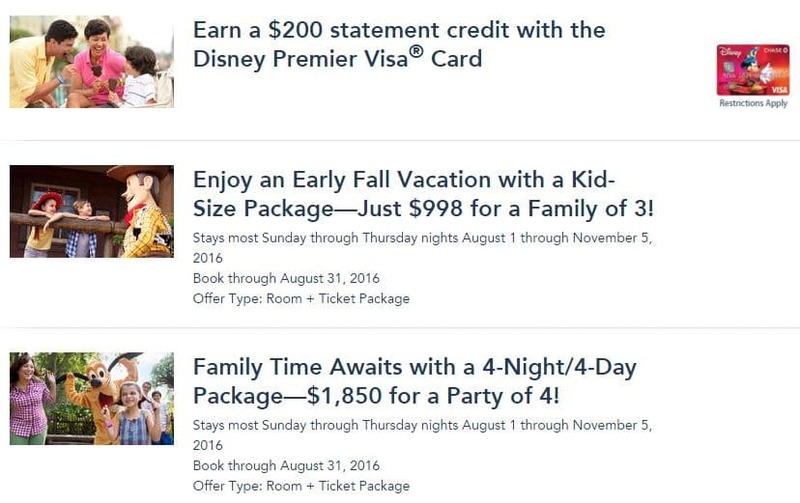 And that’s where your savings start…The first and most important thing to do when booking your Walt Disney World vacation is to take a look at the current promotions that are available. Disney fanatic? Me too! There’s nothing like the happiest place on Earth...especially when you can find a great deal and ways to save on your magical vacation! If Disney Savings Tips & Tricks are for you subscribe to my Disney newsletter! At the time we booked our vacation there were several promotions available including up to 25% off rooms at select resorts or free dining plans. While the immediate discount of 25% off was pretty tempting the value of free dining was far greater. So, if you are looking for a great promotion to book your Disney vacation, I suggest going when free dining is available. Free dining is usually available in the fall and is announced some time in the spring of that year….it hasn’t been announced yet for 2018. If you are a Disney planning newbie like I was before our trip, there are plenty of Disney travel agents available to help you. (I highly recommend Melissa from Mickey Adventures who we booked our Disney vacation with – just tell her Kara from Saving by Design sent you 😉 ) Contact them for help and let them know you are interested in the free dining promotion if and when it becomes available. Best of all their services are free to you! Please note that these were the prices in 2015…I know the prices go up slightly each year. It’s also important to note that you’ll only need a $200 deposit to book your Disney vacation with the balance being due 45 days before you travel. This was huge for us, as we didn’t have a large amount of money saved at the time Free Dining was announced, but we had plenty of time to save since the majority of the payment wasn’t due until much later. The Value Resorts offer larger than life characters throughout the property…something that I was looking for, especially on our first trip to The World. While there aren’t as many activities on property, it didn’t matter since we barely even had time to swim in the pool! Most of our days (and nights) were spent in the parks so we didn’t mind the more basic room either. Overall, there is absolutely nothing wrong with the Disney Value Resorts. 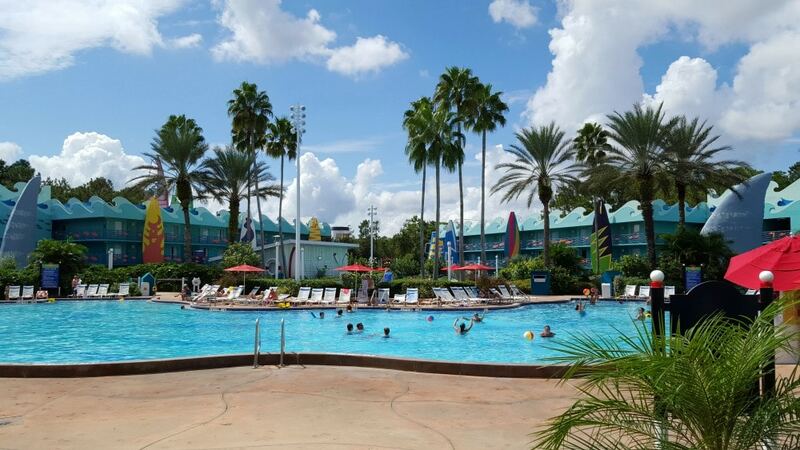 They don’t offer as many perks as the pricier Moderate and Deluxe options, but we loved staying at the Disney All-Star Sports Resort. In fact, we’ll be staying there again next time around…our kids begged us to go back there! 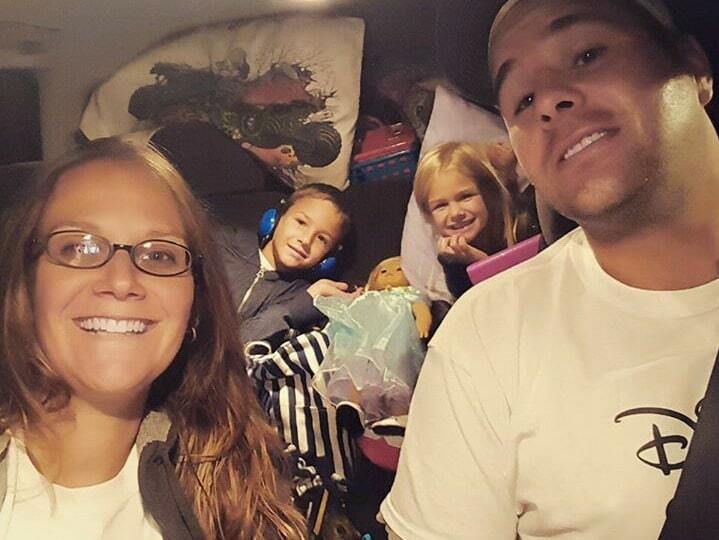 It was never a question for our family whether we would drive or fly…we love a good road trip! As a huge bonus, driving was a lot less expensive than flying. We ended up paying less than $300 round trip for our gas and that was in a 2005 SUV traveling over 2,000 miles, from Pennsylvania to Florida. To minimize the extra days needed off of work for driving we booked our vacation to check in on Sunday and check out on Saturday. That way we had the weekends to drive with no extra time off of work needed. I just love the freedom that driving gave us. 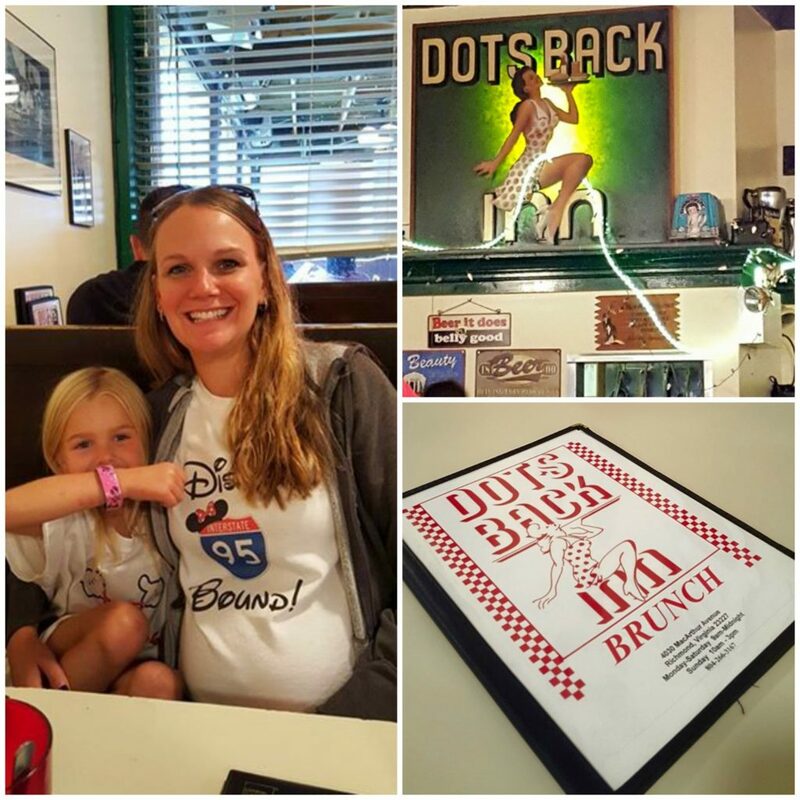 We found a few great restaurants that were featured on Diners, Drive-ins, and Dives to eat at and we stopped at each welcome center as we entered a new state on our travels. 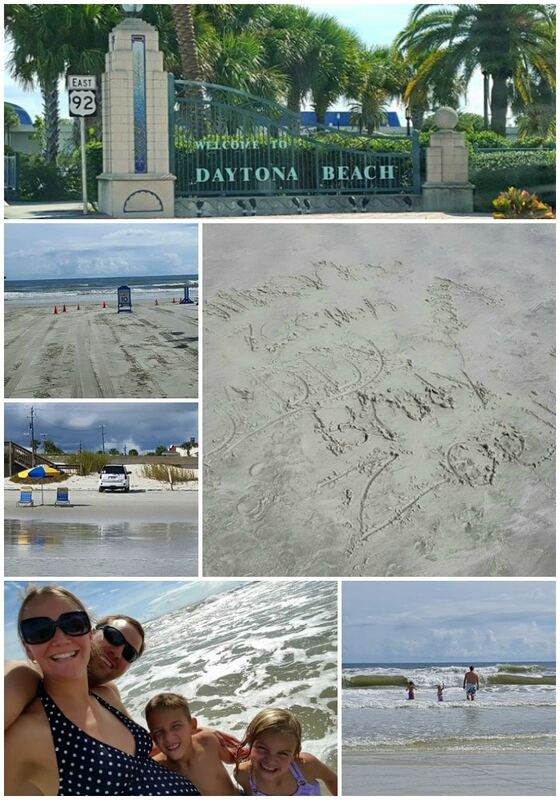 We couldn’t drive by Daytona Beach without checking out the ocean, so we even stopped there for a few hours! To keep the kids entertained on the road I made them fun activity binders full of Disney coloring pages and games and bought the Disney Eye Found It Card Game (we LOVE the Disney Eye Found It Board Game!! ), a bunch of Disney-themed activity books, crayons, and more at Dollar Tree. After a few days of enjoying ourselves at the parks, my hubby said to me, “I can totally understand how people have a terrible time here. If you didn’t have things planned, I would be so overwhelmed and probably get on like two rides!” I had so much fun planning everything from the moment we decided we were going, that I never thought about what it would have been like if I didn’t have a plan for us. That’s why probably the most important tip I can give is for you to PLAN your Disney vacation! Taking a trip to Disney and not making the most of your time there would definitely be a huge waste of your money. So plan which days you’ll be at what park. Plan (and get reservations) for your dinners. Plan which shows, parades, etc you would like to see. Plan which rides are a must and get your fast passes set up. I know it sounds like a lot of work, but it’s fun work that will get you excited for your vacation and will totally be worth it once you arrive. Nothing gets me in the mood for some serious planning like a fun, fabulous binder! Planning a Disney family vacation is no joke, so it’s a good idea to have somewhere to put all the information you’ll be needing to plan your perfect trip. You can be as simple or fancy as you would like with your binder – you can buy an inexpensive plain binder or going all out like I did and spend a few bucks to create a custom one. No matter what you choose you can find everything you need (including free Disney planning printables) in my post, How to Make a Disney Family Vacation Planner. Once you get your vacation booked, it’s time to add some Disney magic. We kept the trip a secret from our kids until the evening before we were leaving. To say they were excited is definitely an understatement! 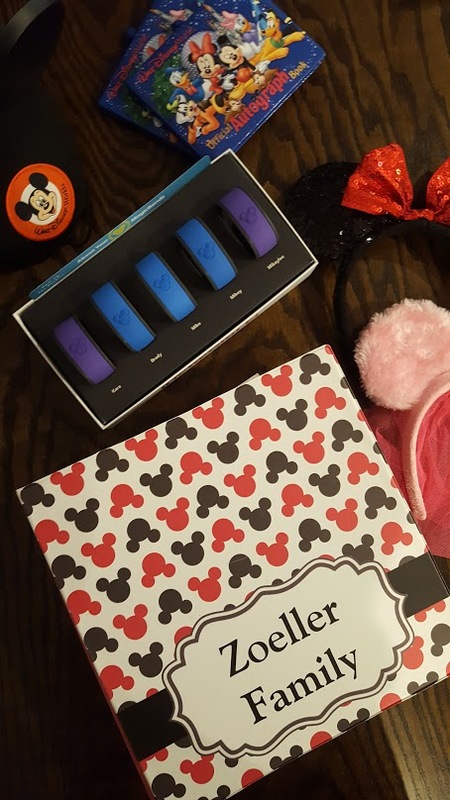 In the box I put our Magic Bands, mouse ears, autograph books, lanyards and Disney Trading Pins to get them started on their pin trading adventures (did you even know this was a thing? ), an inexpensive new Disney-themed toy, and some fun travel t-shirts that I made using printable iron-on transfer paper. All of these goodies were purchased before our trip inexpensively, mostly from Amazon, or were DIY projects which saved a TON from what we would have paid in the parks. > Is Disney Free Dining the Best Promotion for Your Disney World Vacation? « FREE Summer Caldrea Kit from Grove Collaborative! You NEED These Cleaners! Hi there! 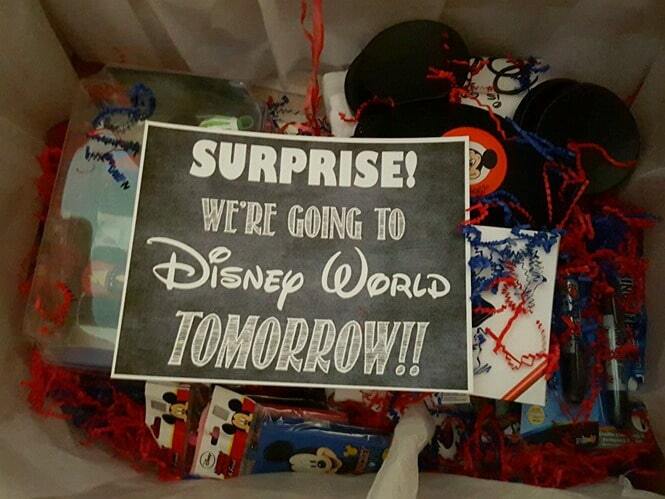 I’m actually currently planning a surprise WDW vacation for my family. I was wondering where you got those Disney Bound shirts with the I-95 logo? I absolutely LOVE them as I am from NJ and we always drive straight down I-95 for the trip! I’d love to get them for my family. Thanks so much! How was it doing good Disney while pregnant? We are looking at taking our 5 year old this fall, but also considering the trying for number 2- do you feel like you missed out on anything? We are only doing Magic Kingdom, but I want to make sure with this being her first trip I can experience it all. Honestly I was fine 🙂 I was a little bummed I couldn’t go on the coasters lol, but I knew that going into it so it was no surprise. I basically was able to go on everything but the “thrill” rides. Hope you have a magical trip!! 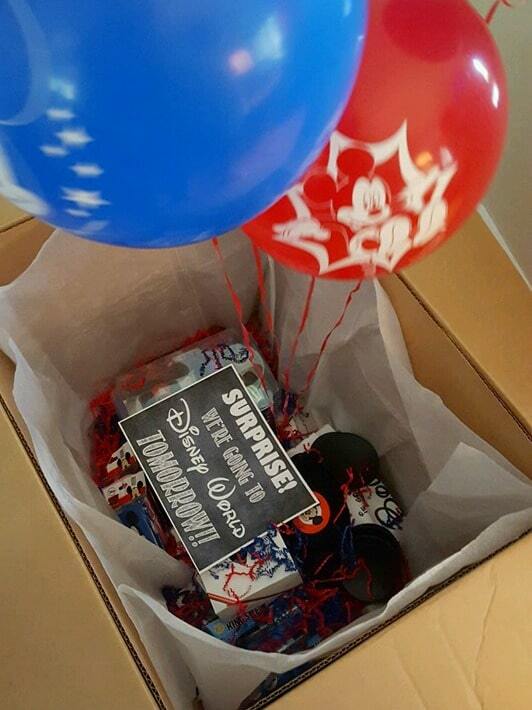 Were you able to get character meals while staying at a value resort as part of free dining? I wonder if I am missing something. I thought they only offered quick service meals when staying at a value resort. Thank you! When staying at a value resort you will be offered the quick service plan for free. BUT you can upgrade to the regular dining plan (which includes the character meals) simply by paying the difference between the two plans. Where in PA did you start from and how long did driving take? I’m from the Poconos and the flight from Philadelphia is over a third of the cost. Have family in NC that we could stop and visit on the way. Just wondered how many hours and days were driving as to how many days at WDW. I’m in NEPA, actually right on the edge of the Poconos (about a half hour ride on 80), and we’ve done the drive twice now. The first year we actually drove from home to St. Augustine, FL in one day. We left about 7am and got there at about midnight. We were checking into Disney on a Sunday so we just did the whole drive Saturday instead of taking extra time off work. Last year we broke it up a bit. We drove to South Carolina, and then drove the rest of the way the next day. The drive to NC will be about half way so that’s perfect! I’m not a fan of flying, and we had so much fun driving that I would never even consider it. Plus, it SUCH a difference in cost! It was less than $150 round trip for gas! Now of course there’s also a hotel room in there and food, so that might have brought our total for the drive to around $300…still nowhere near the cost of flying! I love this because it’s almost exactly the same plan my boyfriend and I are doing. We booked reservations for around $3,100 back in November for a September 2018 trip. Once the free dining plan was announced we called up Disney and we changed our reservation from the All-Star Movies resort to Pop Century where the total was cheaper. Now our total is $2,550! We got the next step up in the dining plan so it wasn’t 100% “free” but it obviously saved us over $500. So we could have potentially saved a few $100 more with the quick stop meal plan, but I wanted to experience the table service meals. We also have the park hopper plus (because I want to spend a day in the lazy river) and Memory Maker. I believe it’s $130 now? And the Park Hop Plus added maybe another $140~? We also plan to go to the Halloween Party so we haven’t purchased our tickets yet but I think they are around $80 each. We will also be staying 6 nights and the park for 5 nights. We decided to fly but for us it wasn’t much difference and saves us time that we can spend at the beach or Disney Springs on our traveling days. So prices haven’t increased THAT much it seems since ya’ll went. But we are also only two people so I’m not sure how much more 2 little ones would send the price up. It’s nice to compare ya’lls trip to ours. Also we were the exact same way! He’s been talking about Disney World for as long as I’ve known him but we also wrote it off because we assumed it wouldn’t be affordable for us. The ability to pay it off over time is honestly the #1 reason we were able to go. . Also I noted the the All-Star Sports was actually $60 less at one point (I keep looking at the package prices for a cheaper deal maybe) but we were too lazy to change everything again for $60. But it’s well worth a phone call for saving over $500 of the price you initially planned for. Thank you for your post! It’s very relatable! One thing that has changed is they now offer alcohol with the dining plan so for us as adults it will be an extra treat. And the food and wine festival will be going on while we are there (not sure if the dates overlapped for ya’ll yet back when you went) so that’s also a whole extra amount of fun. Don’t overlook the moderate resorts. If you book at the right time they can actually be less expensive than the value resorts. 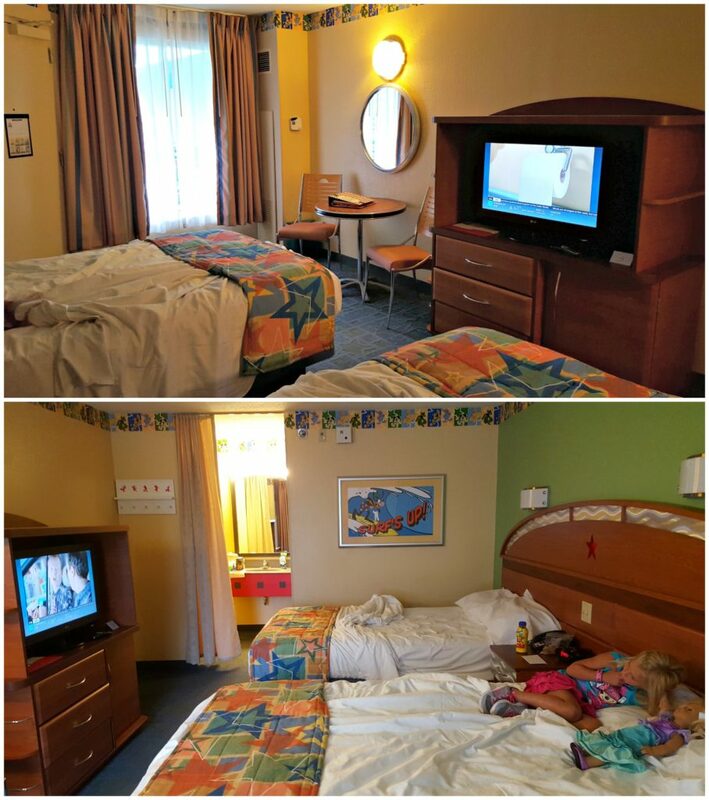 We have stayed in both and I agree any room is a great room at Disney. We spend most of our time in the parks as well, but if you can upgrade and save money why not! The travel agents know the best deals that are being offered and it usually doesn’t cost any more for using their services except for booking the flight.